Do you have a parent who currently suffers from Alzheimer’s or another form of dementia? These degenerative brain diseases are difficult not only on patients, but also on their family members and caregivers. In response to elder abuse advocates’ concerns about educating and empowering family members of those with dementia, a number of organizations have teamed up to provide a series of “webinars” this summer. According to a recent press release from the Administration for Community Living (ACL), the ACL will join the Centers for Disease Control and Prevention (CDC), the National Institute on Aging (NIA), and the National Institutes of Health (NIH) in hosting a series of three webinars in July, August, and September. The organizations have collaborated in order to “increase knowledge about Alzheimer’s disease and related dementia,” as well as to provide “resources that professionals in the public health, aging services, and research networks can use to inform, educate, and empower community members.” More education about the risks associated with dementia care can help family members and caregivers to quickly spot and report signs of elder abuse. Indeed, “the drugging of California’s nursing home residents is at an all-time high,” particularly when it comes to Alzheimer’s patients, according to the California Advocates for Nursing Home Reform (CANHR). As such, we need more education and awareness about Alzheimer’s disease and related dementias. The webinars will provide updates on resources for patients with Alzheimer’s, collaborations in specific community for assisting those with dementia, and research updates on these diseases. The first seminar will take place on July 22. Just two days later, the CANHR is also co-sponsoring a dementia care training event in San Diego. On July 24, you can attend the CANHR event to learn more about “Comfort as the New Medicine” and dementia care. The CANHR provides a number of resources for California residents that complement events like the nationwide summer webinars. And when it comes to caring for someone with Alzheimer’s or another form of dementia, the CANHR provides a helpful checklist that can help you to evaluate nursing homes or assisted-living facilities where your elderly parent can obtain medical care. Is the facility a quiet and calm place? Is the lighting pleasant and natural? Is there a “wander alert system”? Is it easily for the staff to observe common areas, outside areas, and residents’ rooms? Is the facility equipped to care for dementia patients at all stages of the disease? Are psychoactive drugs used to treat certain dementia behaviors? Does the facility design specialized programs for residents with dementia, and are they tailored to individual residents? Does the facility check on residents throughout the night? Does the facility have employees with specialized knowledge and training when it comes to dementia care? What is the ratio of residents to staff during each shift? What are the qualifications of staff supervisors? These questions are just some of the inquiries you’ll want to make when you’re looking at care facilities. 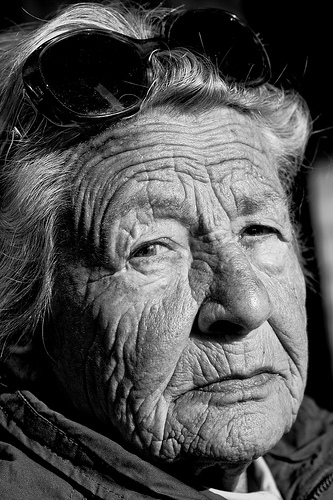 If you have questions, an experienced San Diego elder abuse attorney can help you today. Contact our office to learn more.